that has been reported. This message was received on or about June 14th, 2012. 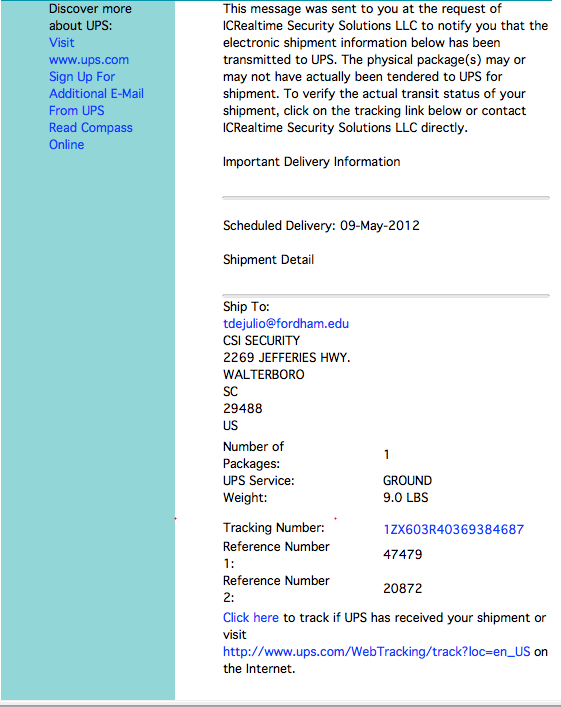 Subject: Your UPS shipment tracking number.